Stones of the urinary tract begin as microscopic crystals that aggregate to form stones of variable size and shape anywhere within the urinary system, including the kidneys, ureters, and urethra, although stones of the urinary bladder are most common. Not all cats with bladder stones show signs of having this problem. 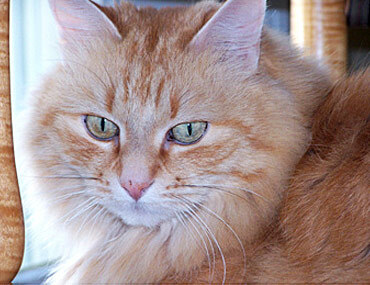 In fact, in some cases the discovery of bladder stones happens only when your cat is in for his annual physical exam. If your pet shows any of these signs, you should contact your veterinarian right away. Your veterinarian will review your cat’s history and conduct a physical exam, including palpating your cat’s urethra and urinary bladder. If you see any stones present after your cat urinates, call your veterinarian regarding the proper way to collect and store them; they may be helpful in determining the best way to treat your four-legged friend. If your cat has been diagnosed with bladder or other urinary tract stones, the ultimate goal will be to dissolve the stones or remove them and, most important of all, prevent them from recurring. Your veterinarian will determine the right approach for your pet. While you may not be able to prevent your pet from getting bladder stones the first time, you can help prevent their recurrence with the right diet and care. It is very important to follow all instructions provided by your veterinarian, including giving all medications and coming in for follow-up visits and tests.